Sally Cisney Mann taught school in several different states for twenty-three years. She is mother of four and grandmother of six. She lives in New Mexico with her husband, Greg. They have two cats, Tweed and Echo, and loving memories of their golden retriever, Cheyenne. Sally Mann has written a heart-wrenching and factual accounting of childhood losses in her autobiography, Yearning. At a very young age, she was forced into a residential boarding school due to the mental illness of her father and her mother having to work full time to support the family. The father subsequently died, and Sally and her older sister Nan were then placed in separate foster homes. Sally adjusted to her foster family and became a cohesive part of the family unit, and then, she was taken from that family when her mother moved to Washington, D.C. to accept a job. At that time, Sally was in the mid-elementary years in school, and she and her sister mostly had to fend for themselves while their mother again worked full time to support them. There are ongoing incidences of loss and loneliness in the story. The reader can easily identify with the yearnings the author must have carried with her to adulthood. She wanted so much to have a loving husband and children who would experience a stable family environment and a sense of belonging for herself. Instead, she got an alcoholic husband who went missing in the Vietnam war. I found myself wanting to read on and on as the author tried to find herself through her children and her community ties. Eventually, she was able to do just that, and I cheered for her success. 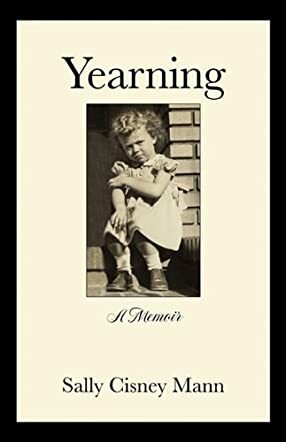 In the end, the reader is also left with the thought of what those barren childhood years cost the author as it relates to her sense of self and her sense of belonging. This is a lovely read and should be enjoyable for both younger and older adults.